Rare whisky specialist The Last Drop Distillers has released its first single malt bottling: a 1967 Glen Garioch matured for 47 years. At the time of distillation, Glen Garioch was making a big, robust and peated style for the blended whisky market, but this particular spirit was unusually matured in a ‘Bourbon-style’ remade hogshead cask, according to The Last Drop. ‘Over the last 47 years, it has matured beautifully into an elixir of honeyed sweetness, with a hint of apple freshness and a subtle smokiness,’ the company said. Only 118 bottles were hand-filled from the single cask, unfiltered and left at the natural strength of 45.46% abv. Each bottle had its driven cork sealed by dipping in hot wax. 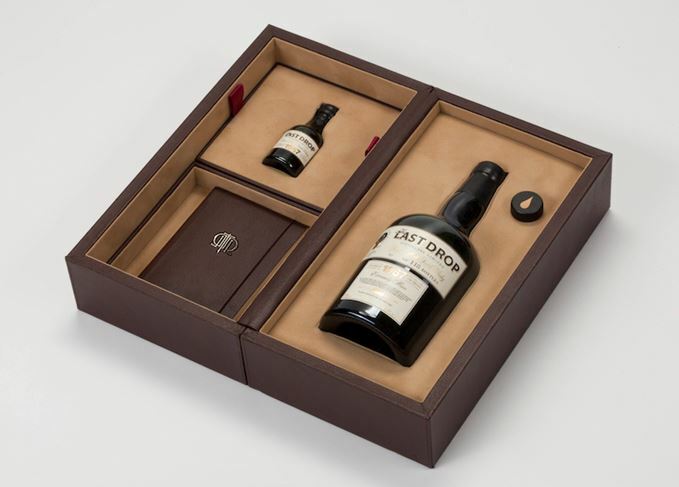 The numbered bottles are packaged in a dark chocolate-brown leather case lined with soft suede, also containing a 50ml miniature and a leather-bound information and tasting book. Previous Last Drop bottlings have focused on blends, including a 48-year-old, a 1960 and a 50-year-old, as well as a 1950 Cognac. The Last Drop Distillers 1967 Single Malt Glen Garioch will retail at about £4,600 (US$7,000). Initial UK stockists include Fine & Rare, Davidoff and The Whisky Shop.